The ecommerce boom shows no signs of slowing down any time soon, and each year the amount spent during the holiday season continues to increase. The question of getting into the market is a fairly easy one if you have products to sell, but how do you even begin to sort through the hundreds of shopping cart options that are in the space? We’ve helped you out a little bit by gathering up 18 choices that represent the best of the free and fee-based options out there. Read about each one very carefully, though, as they all have their pros and cons. AgoraCart: AgoraCart offers a free version of its software with all of the usual bells and whistles, but if you upgrade to the gold version you will get access to more modules and support. 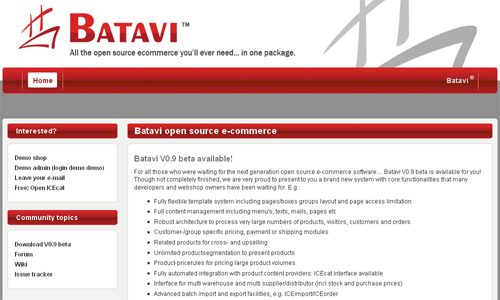 Batavi: Batavi was born in 2007 by osCommerce core-team members and ICEshop over frustration that osCommerce 3.0 seemed to be going nowhere. This cart is based on that unfinished version of 3.0, but is completely rewritten. It offers customer- and group-specific pricing, payment and shipping modules, related products for crossselling and upselling, product price rules for pricing large product volumes and many other features that make it very friendly for business-to-business selling. 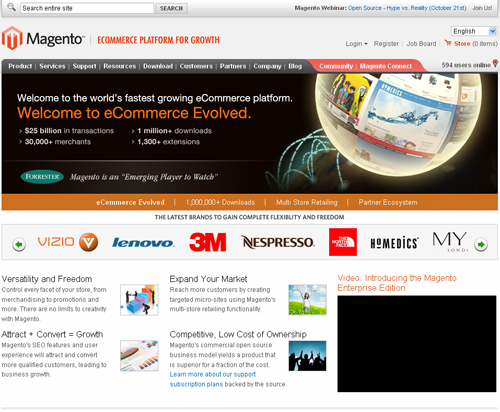 Magento: Magento was originally envisioned as a branch of osCommerce, but as development began they decided to code something original from the ground up and that is how this shopping cart was born. Built on the Zend framework, the system is PHP-based and is available as an open source option with extra modules that can be installed, or as an Enterprise edition, for a fee, for larger companies needing a shopping solution. For additional information, check out the SitePoint podcast with Roy Rubin of Magento. OFBiz: Apache OFBiz is a solution for a multitude of enterprise business needs, but can be rolled out as an ecommerce solution easily for businesses of any size. 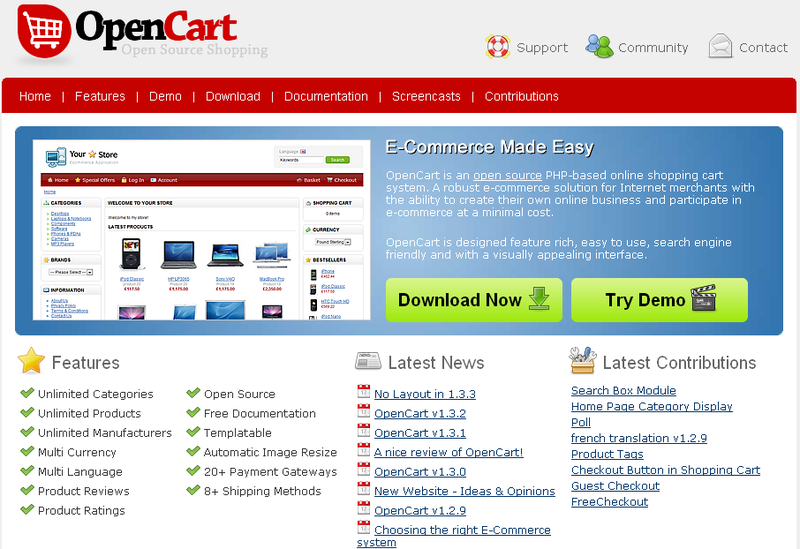 OpenCart: OpenCart is another in the long line of open source shopping carts in the marketplace, but this seems to offer a bit more options than most of them. It supports a full templating system, support for over 20 payment gateways, over 8 different payment gateways, unlimited categories and products and more. 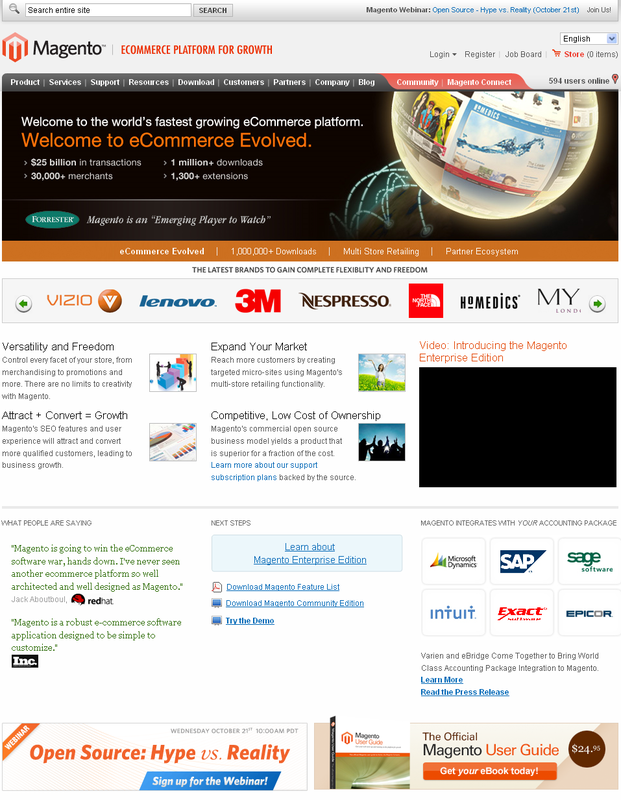 osCommerce: Probably the best known of the free cart solutions, osCommerce has been around for several years and features a constantly growing developer community that continues to develop new plugins to make this shopping cart do everything but clean the windows. The front end of the cart is highly customizable, but it comes with a fluid-width template that is fairly decent on its own. Due to the number of installs it has become quite common and instantly recognizable. The biggest drawback at this point is the exceedingly long time version 3.0 has been in development. It is PHP-based and uses MySQL databases. 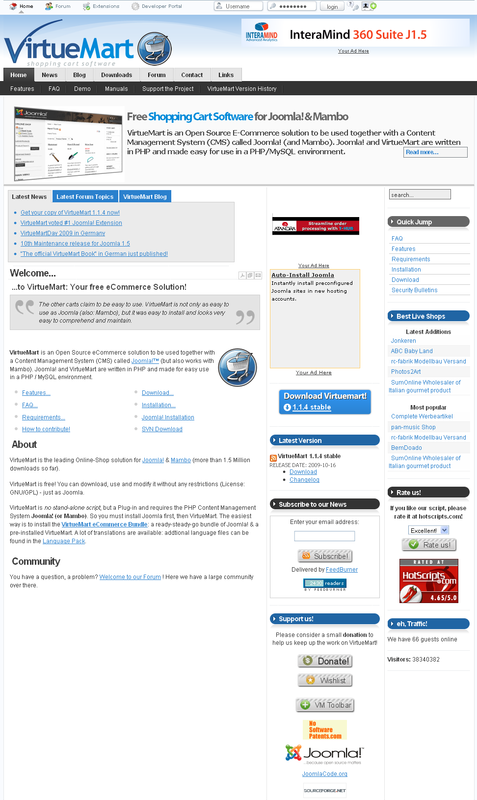 PrestaShop: PrestaShop runs on PHP and MySQL and makes extensive use in the admin panel. The system allows you to have orders placed for out of stock items, package tracking, merchandise return and a lot more. 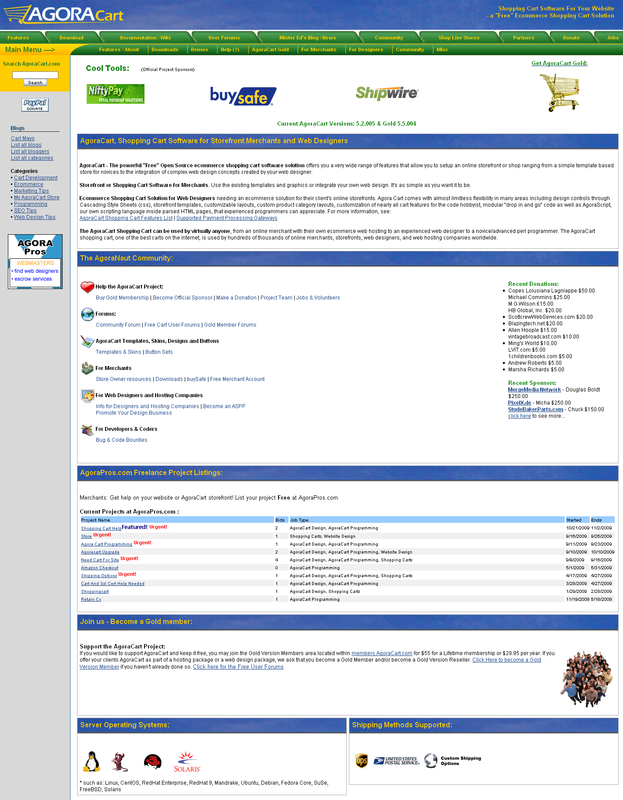 Many expansion modules are available for free, but there are some paid ones and templates available in the PrestaStore. 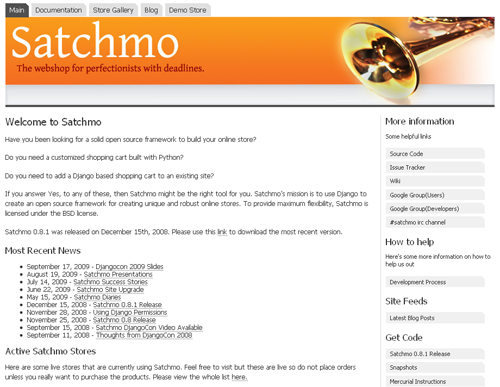 Satchmo: Originally designed in Python to try to overcome some of the shortcomings of PHP, Satchmo now is using the Django web application framework. It includes many features such as PDF invoice generation, automatic thumbnail generation, inventory tracking and a whole lot more. Ubercart: Developed to work with Drupal, Ubercart fully integrates with your site and community on any server that can run PHP and MySQL. It seems best suited for people or companies with a limited number of items to sell. 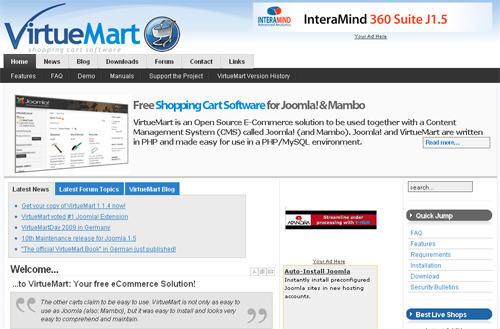 VirtueMart: Starting life as a plugin named mambo-phpShop, VirtueMart changed its name when Mambo became Joomla, and it still requires Joomla to function as it is incapable of running on its own. It runs on PHP and MySQL, and is capable of supporting an unlimited number of products and categories, but is recommended for light to medium traffic sites. Zen Cart: Zen Cart is a branch off from osCommerce that adds features such as a templating system and includes some popular osCommerce plugins in its core coding such as the gift certificate module. 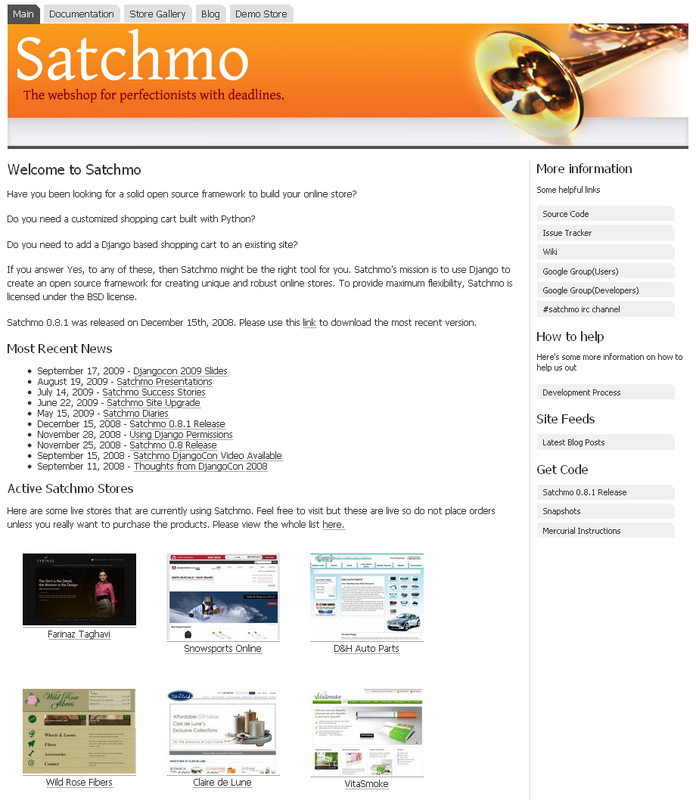 It is PHP-based and uses MySQL databases. 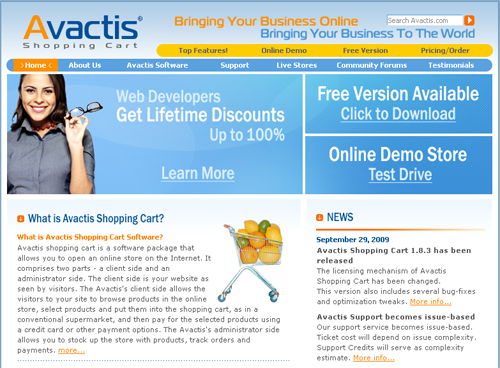 Avactis: Avactis offers all of the usual bells and whistles of a PHP/MySQL shopping cart such as real-time shipping calculation, multiple currencies, sales reports, marketing and so on. The program offers a tag based cart system that allows you to add the system to any web site of your choice, whether it’s a static site or not. 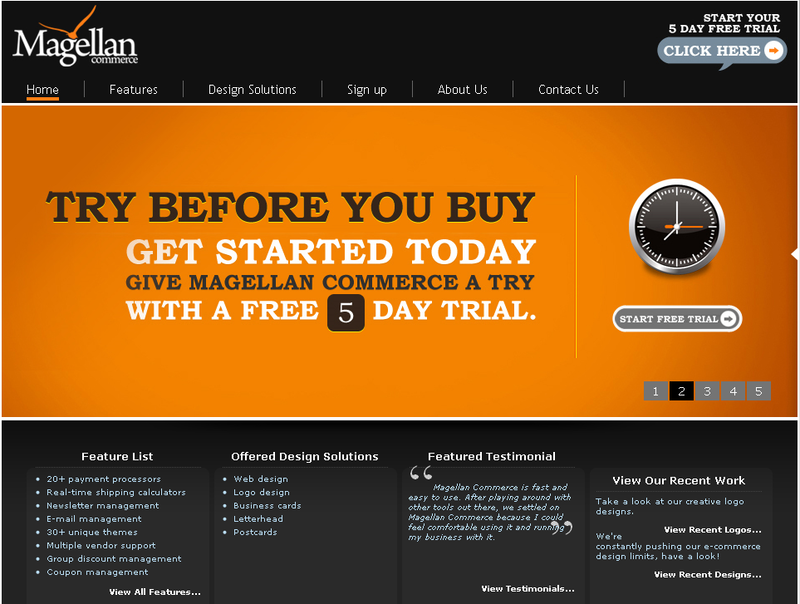 They offer a free trial with limited functionality that you can install and test. 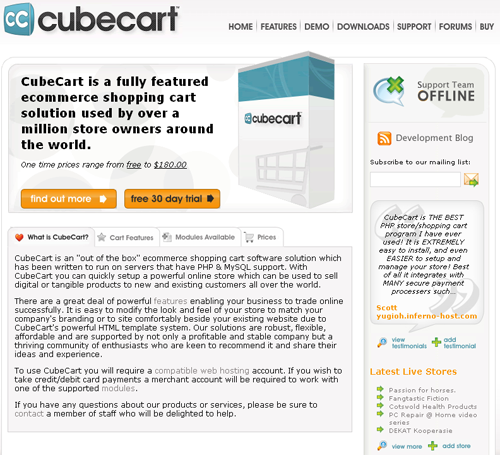 CubeCart: CubeCart runs on PHP and MySQL and is template driven, offers tax by state/zone or country, inventory control, gift certificates and more. 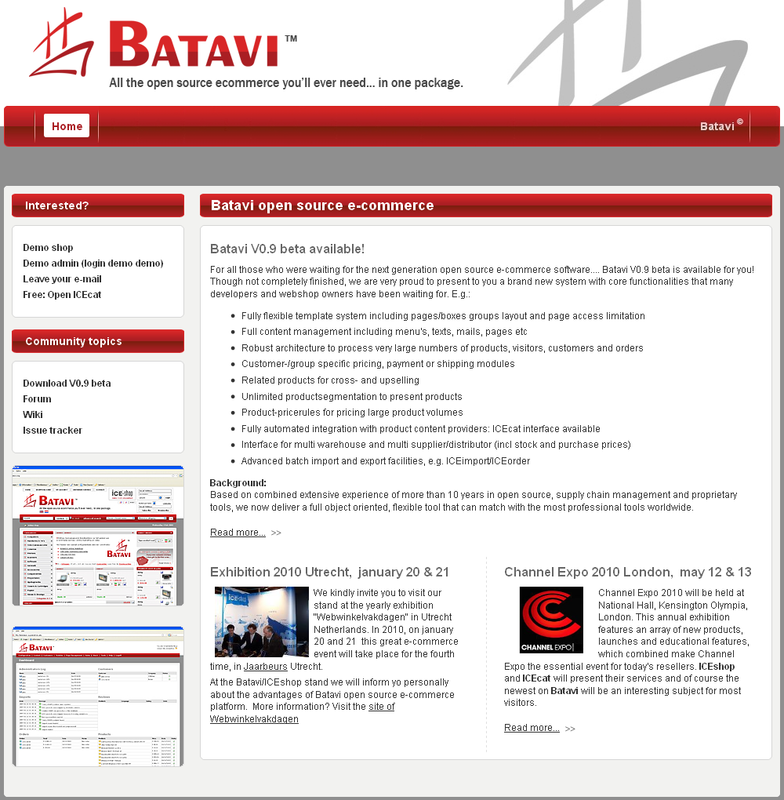 The company also offers free updates for life and more modules for additional functionality. 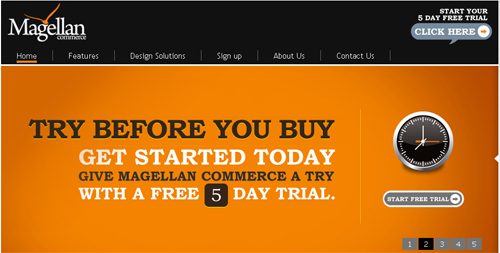 Magellan Commerce: Magellan is a bit limited in its scope, but it is still very serviceable depending on the needs of the retailer. It offers over 30 templates, real time shipping calculators, order and inventory tracking and a lot more. 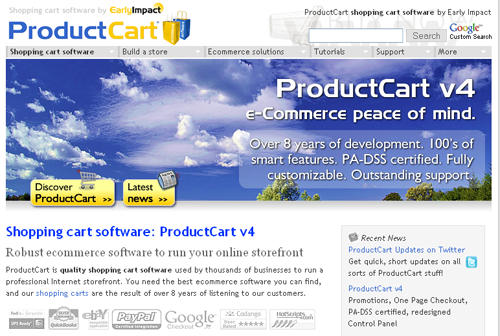 ProductCart: ProductCart is written in ASP and relies heavily on AJAX to speed up the consumer experience with their shopping cart. 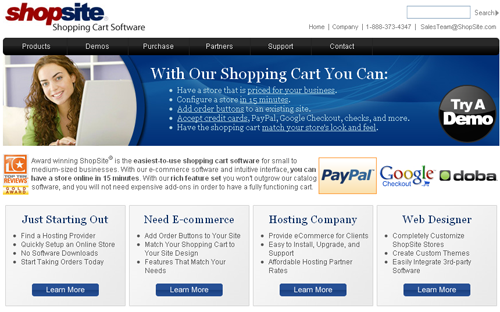 The system can also integrate with your current site if you prefer to building one totally on top of the cart. ShopSite: This shopping cart solution allows you to add buttons to an existing site, or you can build an entire site with their wizard. This would be a great solution for those who want complete control of their design without being encumbered by the limitations of a complete shopping cart site. ShopSite offers three levels of subscription to its shopping cart system, or you can pay one time fees for the top two tiers of service. ViArt: A PHP-based shopping cart that is offered in multiple flavors so that you can choose the one that best suits your needs. There is a free version, but it is so limited that it would only be suitable for the smallest of online stores. 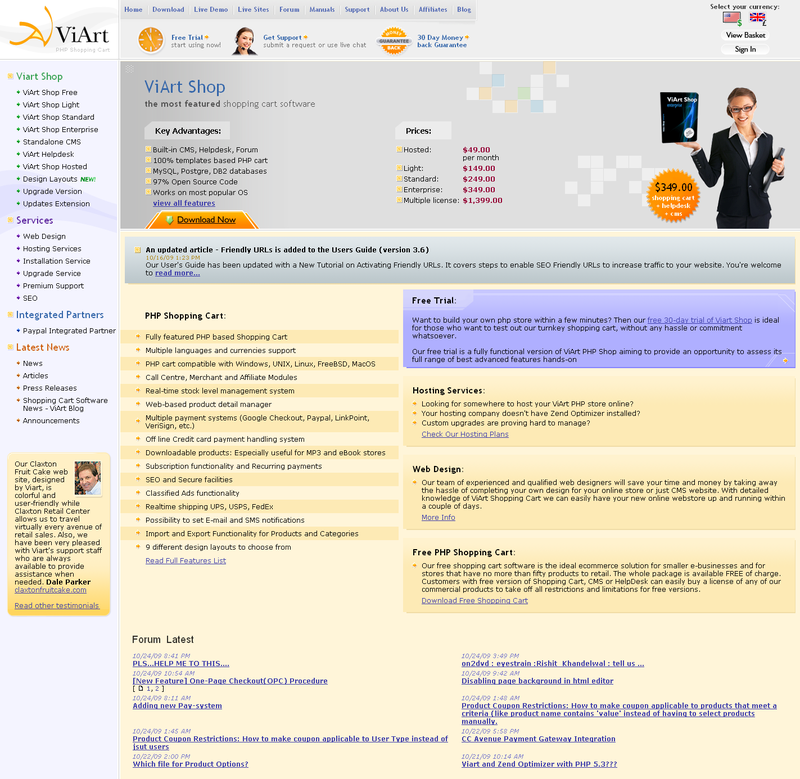 ViArt also provides you with a full CMS and Help Desk that can be integrated into the online store. 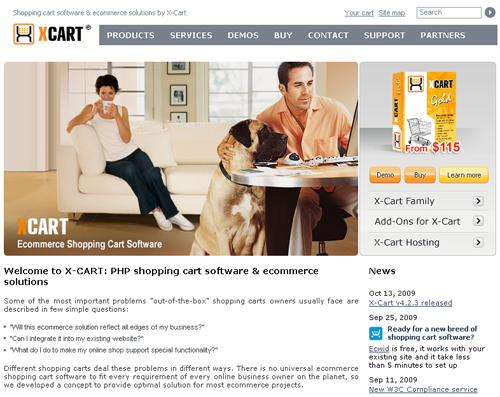 X-Cart: X-Cart offers different versions of its software to match the different needs of merchants. From the most basic version on up it features a CSS-based layout for customization, MySQL databases, search engine friendly and more.